Now you can get some of this without having to drive. 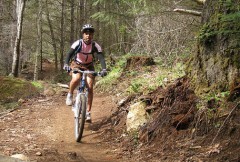 Love riding the trails at the Sandy Ridge Trail System; but don’t love the hour or so drive it takes to get there? 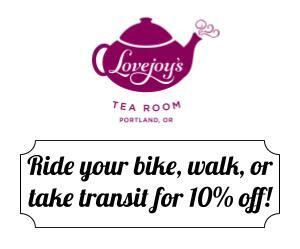 Or maybe you’ve wanted to ride there but don’t have a car and/or are philosophically opposed to driving to ride? You’re in luck, because the great Fat Tire Farm bike shop in northwest Portland has launched a new shuttle service. And to make it even better, they’ve got a fleet of awesome rental bikes you can use on the trails. – Shuttles leave at 11:00 am from the shop at 2714 NW Thurman and return 5:00 pm the same day. – Rates are $40 per person or $20 with a rental from the FTF fleet. 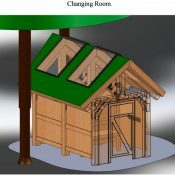 This is a great new way to hit the trails at Sandy Ridge! Not to mention a cool way to maybe meet new riding buddies on the shuttle ride to and from. For more info, check out the shop’s website or give them a call at (971) 300-1216. Fingers crossed this is successful! Next year, will be rooting for a shuttle to Timberline for the new bike park, then a pickup down in Government Camp or Rhody. That bus shuttles you from Sandy to Timberline. This one gets you from Portland to Sandy Ridge Trailhead. It would be nice if one at least extended down to the end of the Blue line in Gresham. A 2-seat ride is manageable. A 3-seat ride is just a bit too much. The existing bus does indeed do this, but having used it for a backpacking trip a couple years ago I can tell you that it takes a looong time to get there. First you ride MAX out to Gresham, then take the SAM bus from there to Sandy, and only then do you get on the MHX. I think you’re looking at 3+ hours from downtown Portland for the whole trip, IIRC. Still can work for a long weekend as I used it, but not great if you’re trying to use it for a day trip. Not when you factor in skyrocketing gas prices plus just the hassle of the drive. But, the leave at 11, return at 5 doesn’t provide much time to ride. Let’s assume the bus leaves at 11 sharp. You’re at trailhead by noon, pedaling up the road by 12:15. Now let’s assume the bus leaves the trailhead at 5pm sharp. So you need to be back at the lot by 4:30 to load up. 4 hours and 15 minutes at Sandy Ridge is plenty of time. 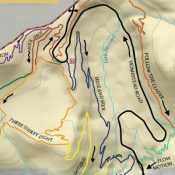 The riding is physical enough there that someone accustomed to e.g., riding for 6 hours at the Forest Road 44 trails will easily fill up their fun bucket in that time. At the trailhead by noon? Are you kidding? You won’t even be getting out of Portland by noon, and that’s when the traffic is moving. And, coming home at 5? Better be prepared for 9. The article states that the shuttles leaves the shop at 11. Won’t be out of town by noon? It’s you who must be kidding. It takes me 45 – 55 minutes to get to the trailhead from middle SE Portland with normal Saturday traffic. The article also states that the shuttle heads back at 5. I never said anyone would be home by 5. Go find some other clouds to yell at. This is the most inexpensive bike shuttle you will find anywhere. In the mountain bike world it’s laughably cheap. I wouldn’t be surprised to see an added bike fee to boost revenue. Sorry, I was referring to the Sandy to Timberline shuttle for $2.00. This was not clear in my comment. I agree the Portland to Sandy Ridge shuttle is “competitive” in price in regards to similar services. I’ve never paid more than $25-30 for a shuttle. And that’s for more interesting destinations than Sandy Ridge. Seems to me that anyone who could afford a forty dollar shuttle could afford to drive out there. I wish ’em luck but this seems like a rather niche market. It costs at least $30 to rent a car for the day. More if you want one that can take a bike. Additional transpo options are always good. I would like to plug another option: Mt. Hood Express in partnership with the Sandy Metro system. During summery season, you can catch the express for $2 from Sandy to Timberline. You can arrange to be dropped at Sandy Ridge. The Sandy Metro picks up at the Gresham Max station. I caught the express in Rhododendron, dropped off at Timberline and rode Timberline to Rhody – great ride! If you don’t mind the timescale involved, it is great. A couple years ago I used MAX/SAM/MHX to get dropped off at Zigzag, then I backpacked the entire length of the Salmon River through the Salmon-Huckleberry wilderness and on up to Timberline Lodge, where I picked up my ride home. (If this sounds odd, my knees prefer uphill over downhill hiking). I like that MHX makes several runs a day, so you get multiple options for your pickup/dropoff times. Does the bus bike rack accept fat tire bikes? Great idea, might not work for everyone but it’s a great service! This would be a good deal if they would shuttle you to the top at Sandy Ridge too. Barry – Could the service perhaps be paired with some sort of “Get Fit Live Fit” coaching system? Interesting that FTF has rental bikes now. 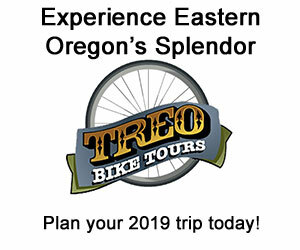 I asked them several months ago if they had rental bikes and they just looked down there nose at me and said no… I’m glad, I’ve been wanting to try what it’s like to ride a newer mountain bike instead of my old dusty 26″ bike. Maybe you talked to prentious bike shop employee that day. Was he crafting a pourover brew at the time? The magic word is “demo” bikes. “Demo” bikes are $125 a day while “rental” bikes are $65 a day and what bike shop worth a damn wants to be associated with rental bikes. Gross. That’s interesting that FTF is renting bikes again. They had a rental program many years, but not long ago I’d heard that they dropped it, and I no longer found any info on their website. I REALLY want this to succeed, but people will have to determine what their time is worth. 2hrs of driving (RT) for $40, vs ~ 5 hrs via Trimet, sandy bus, mt hood express, for $9. If you have a car available and ride w a friend, I just don’t see the Shuttle as very attractive (or public transit for that matter). 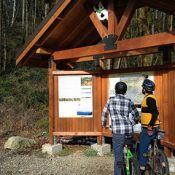 Now, were the shuttle to run to the 44 trails or even down to Oakridge, leave by 8am, include a post-ride stop in HR to go to Pfriem or Double Mtn, or at Brewer’s Union in Oakridge, well then, sign me up. 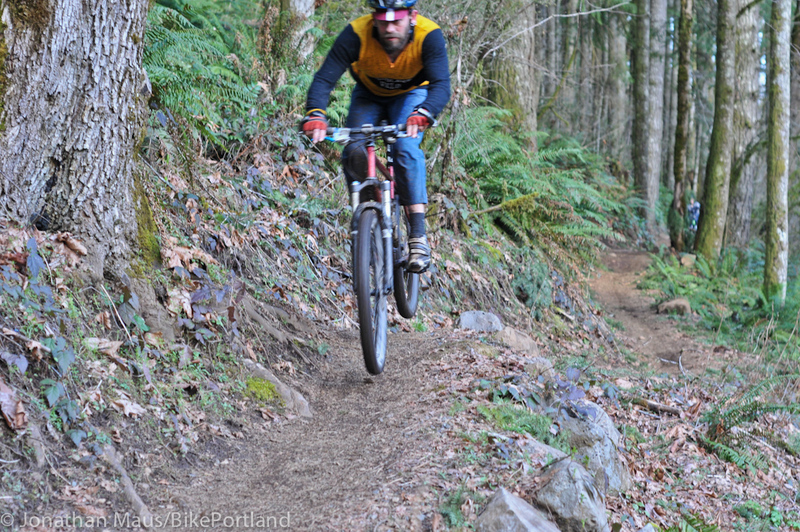 What is sad that Portland has so little in town mountain biking that a shuttle to Sandy Ridge is needed. Way late on this, but it would be nice if they had a stop somewhere on the eastside on their way out of town also. I can drive from my house to Sandy Ridge in an hour. It takes me 3/4 that time just to get to NW Portland at that time of day, bike or car. That’s a great idea, Craig. We’ll consider it. Thanks.